Everyone tells you this: “to make money as an affiliate marketer, you have to find your own niche!” OK, I understand what a niche is, but how to find a niche for my affiliate marketing business? I agree that the key to online success is finding the right niche to launch your business. It is easy to say, but hard to get it right. I have been making money online for over a decade, here’s my profile, but I am still struggling every time searching for a niche to launch a new website. I don’t pick a niche based on passion, which most people do. I look for a niche that has customers. Maybe this decision helps me to become a successful affiliate marketer. 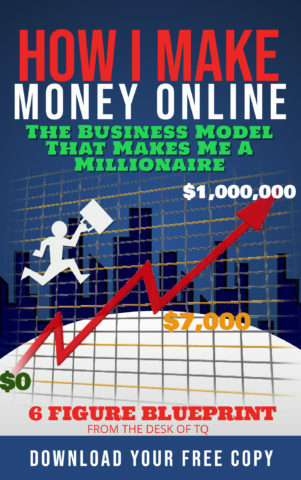 If you are looking to launch your own niche website to make money online, you can take a copy of my ‘Guide To Make Money Online‘ with a niche website to learn the process that I have used to build a successful online business. How to find a niche? The answer to this question is not that simple. This is a business decision process that every blogger and affiliate marketer must go through to find the right niche for their online business. Not every niche idea is a profitable affiliate marketing niche. Here how to find a niche that is profitable for your online business? Understand what is an affiliate marketing niche? How to find a niche that is profitable? To find a niche market that is profitable, first, you must know what a niche market is? And Is there money in promoting this niche? A niche market is defined as a subsection of a larger market that focuses on satisfying or serving a specific need, demographic, group or price range. The most profitable niches are those that have enough customers to sustain a business and generate profits. One popular online advice on finding a niche is to go after a less competitive niche or ‘your own passions’. This advice might sound good for a hobby niche, but not for an online business or an affiliate marketing niche. A general definition of an affiliate marketing niche is a niche market that has both paid customers and niche suppliers for an affiliate to promote and earn commissions. The reality is this: affiliate marketers promote other products and services to earn commission from the sale. If the niche is too small or nonsexist, then there are not enough products or services to promote and generate revenue to support the business. This is bad advice. My answer has two parts: the niche market must have sufficient demands to make money online, and it must have lots of suppliers and competitions to provide plenty of promotional opportunities for an affiliate to make profits. This is the biggest challenge that many online entrepreneurs face. They can’t decide which niche idea to pursue and which one to put away. Many affiliate marketers fail at this very first stage of making money online. They are either choosing a nonviable niche to pursue or jumping from one niche to another, nonstop. The truth is, no matter how much money you have or how much money you want to invest, finding a profitable niche is not an easy task. You need to conduct research and determine the viability of your niche idea before investing time and money. What you really want to do is validate the niche idea before launching an online business. Here are the steps to help you determine if a niche is profitable for your online business. Use your skills and interests to find a niche idea. Never going after a niche idea that seems lucrative, or because somebody makes a lot of money from it. Launching an affiliate marketing business requires time, energy, patience, skills, and experience. Having the skills and knowledge about the niche is most important because when you truly know about something, it will be easy to promote and establish expert status in that niche. Entrepreneurs are less likely to quit or give up when they choose a niche related to their experiences, knowledge, skills, and expertise. Most affiliate marketers fail because they give up or quit too early. The top reason online business fail because the owner lacks the knowledge or experience in the niche market. Building a successful affiliate marketing business takes most or all your times. You will not have time to learn or training for a new niche. Your online business will fail because you cannot compete against the experts to generate enough income to sustain the business. Advice such as choosing a niche based solely on your passionate or interests are bad because they don’t consider the times require to learn the new niche market. You will likely fail or quit if you follow this advice. The best niches are those that fix a problem or offer a solution to a problem. Furthermore, the problem must be a real problem that exists in the niche market. If you are promoting something that has no value to anyone, who will pay for it? Every affiliate marketers go online for one reason, to make money! What’s your? By now, I think you understand why finding a niche by going after personal passions or interests is not a good choice. It is the skills and knowledge that will provide you with a profitable affiliate marketing niche. Once you have a legit niche, the next question is how large the niche market? It’s good to have niche ideas, but the best way to make money online is to find a niche with paying customers attached to it. Having paid customers is probably the strongest factor in determining the profitability of a niche. You don’t need a full market analysis at this early stage, but you should at least have some basic knowledge who your ideal customers are? How much are they willing to pay? Where and how you can find them? And Who are the suppliers? The answers to these questions are critical in finding a niche that is profitable to launch an affiliate marketing business. The way to find potential customers is sharing your niche idea with people. Don’t just tell your friends and family about your niche idea. You need to talk to strangers, people that you believe would be your ideal potential customers. If people are enthusiastic after hearing your niche idea and want to know where they can get it, then you know that the niche has a viable market because people are willing to pay you for it. Don’t waste your time doing niche market research online either. Data from Google search and Google trend are too general. It covers the entire industry. You need information specific to your chosen niche. It is best to talk directly with people that you know will be potential customers, or are actually use the products or services that you want to promote. Gather information from these people are more valuable than general data online. Many affiliate marketers fail to make money because they are unable to find enough products or services in the chosen niche to promote. As an affiliate marker, having customers willing to purchase from you is only half of the equation. Customers are not paying you the commissions. Suppliers or companies that offer products or services to the niche market are your sources of revenue. You must know how many suppliers exist in your niche? And what is the potential commission for each sale? A niche market with lots of suppliers compete for businesses, and high paying commission is the most profitable affiliate marketing niche. More suppliers mean more products and services for you to promote. The higher the commission per sale, the more money to be made. A niche market with only one or two suppliers is not a good affiliate marketing niche. It is very difficult to compete because it is either too saturated with affiliate markers promoting the same thing, or not enough paying customers to support your niche business. You can find suppliers for your niche by doing a search on Google. This part is best done online. A quick Google search can provide an ideal number of potential online suppliers that you can promote with your affiliate marketing niche. If you find a niche with a healthy number of suppliers, then the niche is a profitable affiliate marketing niche. Finding a niche that is profitable to build a business is not difficult if you follow the process above. Never jump into a niche with just a passion. Passion alone is not sufficient to sustain a business. Every online business starts with a niche idea. The niche idea must be changed and adapted to become a niche business. So, how to find a niche? A good affiliate marketing niche is one with paying customers and a strong number of niche suppliers for you to promote and make money, that is how you find a profitable niche. Once you find a good niche, you need to learn how to turn the niche into a profitable online business. A niche is not a business unless you take action! I have written a few lessons showing people how to build a successful affiliate marketing business. You can star here. You can also use these 10 FREE LESSONS from the Wealthy Affiliate University to launch your own online business. I have used the same lessons to build a successful affiliate marketing business, you can do the same. When building a business online, I always suggest people join a support network to help them through the process. I have been a member of this #1 Online Entrepreneur Wetwork from the day I started my online business. It has helped me to achieve my own financial success. It is FREE to all. Here’s my profile as a member of this community. I have used this process to find and build a successful online business. I hope this article will help you achieve your own online success. What a beautiful article it is. II really find this post helpful especially concerning my online marketing business. Finding the right niche can be difficult at times and can equally be easy to locate if one is equipped with the right and appropriate information. For success in online marketing, patience, hard work and lots of effort is key. Thank you for this interesting, educating and engaging article. Welcome David, glad you enjoy reading this post. Expereince is a first step toward building authority in a niche. It is something we should not ignore. Hello, I really appreciate your time and effort on writing about finding the right niche. From your article it’s obvious that you must get this first step of finding the right niche correctly because your entire affiliate marketing business lays on that foundation. You don’t want to be a year into building your business only to discover it’s not a profitable niche and have to see all your hard work for no results. 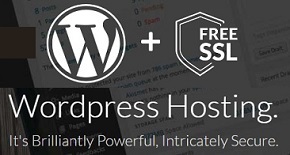 I am also a member of your recommendation Wealthy Affiliate, they definitely take good care of your affiliate marketing training needs, anyone can learn how to build a blogging business with them. Thanks for the article. I think you have just said it as it is,not as it is supposes to be: ” Not every niche idea is a profitable affiliate marketing niche”. And anyone who wants to make money online have to realize this and choose a niche accordingly. Unless my passion is also a profitable niche, choosing a niche based on my passion might end up not producing the result that I envisioned. This is exactly what has been slowing me down. My passions are either very competitive or outright not so profitable. I’m glad I came across your article today. Its time to do some soul searching and decide on the way forward. Wishing you the best going forward. Yes Tolu, passion is a starting point, but it cannot be the only determining factor for choosing a profitable niche. Glad the article help you so much. Than you for stopping by. Thanks for this wonderful inspirational thought lessons. It is educational in nature. Truly a niche is not a business until you take action. To find a profitable niche, you must conduct good research and determine the viability of your niche idea before taken a step to invest time and money. If you find a niche with a healthy number of suppliers then the niche is a profitable Affiliate Marketing niche. I agree this is the best way to conduct your research. Affiliate marketing niche is a niche market that has both paid customers and niche suppliers for an affiliate to promote and earn commissions. Affiliate marketing promotes goods and services to earn commissions from the sale. A niche is not a business until you take action. Passion is not only sufficient to sustain a business. To find a profitable niche, you must conduct a good research and determine the viability of your niche idea before you can invest time and money to it. What is the best way to conduct a good research in affiliate marketing? Many people don’t realize this, but the first step to research for a niche is Google Search. You want to conduct broad researches to see how your niche looks and feels overall. This way allows you to see all the marketing angles that you can promote with your niche. I recommend starting with broad research, then narrow it down until you find your affiliate marketing niche. Good luck!